Um...let's see about me well I was born in 1990, I live in Australia (and don't expect me to call anyone mate or that im going to say G'day!) 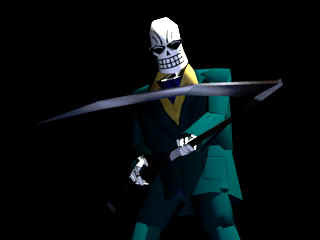 and I have been a huge fan of Grim Fandango ever since i played the Demo of it back in 1998 and when i bought the game in 2001. I wish Lucas Art's would make a sequel to the game and I would like to see a movie of it. Domino- he's just so evil and cool!